Your family and home are important to you, and when it comes to pest control, nothing less than the best will do. Whether you are dealing with ants in your home, mosquitoes in your yard, or any other pest situation, we know how to take control. 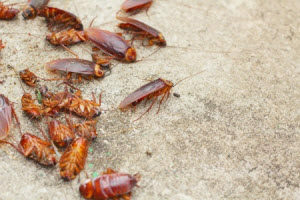 We will get rid of the pests in and around your home so you can rest a little easier. When you need pest control and you want it done right, give us a call. We’re your Marietta, GA Pest Control Services experts, and your family and home are as important to us as they are to you. When you schedule a service with us, one of our qualified, knowledgeable technicians will visit your home, assess your pest situation, discuss with you your options, and treat your home or property. They will also give you advice on ways to reduce or prevent a recurrence of your pest problem by explaining to you how the pests are accessing your home and what you can do to stop it. They will also show you things in your home or yard that attract pests. Termites can infest a home for years before they are discovered, and in that time they can do thousands of dollars of damage to a home. In fact, termites cause twice as much damage to homes as storms and a whopping 5 times more damage than fires each year in the United States. Experts estimate that termites cause $5 billion in damage to homes every year. Allowing a Marietta, GA Termite Control company to protect your home is a very wise decision. Is your Home at Risk for Termites? Living in Georgia puts you at risk for termites. They are very prevalent in the southern states. We all love that beautiful, balmy Georgia weather but so do termites. There are other risk factors as well. For instance, a subterranean termite colony can be the size of a football field and contain millions of termites. This means that if one of your neighbors has termites, you could as well. If you don’t have them yet, there is a good chance they will eventually find their way onto your property if you don’t have some measure of control to prevent them. 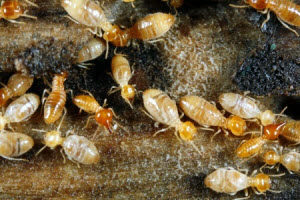 If you are buying a home or selling your home, you may need to obtain an Official Georgia Wood Infestation Inspection Report, more commonly referred to as a termite clearance letter. Many lenders require it, and if you are a buyer, it is a good measure of protection for your investment. We conduct termite inspections and provide termite clearance letters; all you have to do is schedule an appointment, and we’ll take care of the rest. At North Fulton Pest Solutions, we use the best termite control products in the industry and also offer both lifetime renewable guarantees and damage repair guarantees. We use the Sentricon® Termite Colony Elimination System with Always Active™ Technology to protect your property and guard against termites. It’s the only termite baiting system that features Recruit® HD termite bait in every single station from the very first day of installation providing continuous termite protection 24/7/365 days a year! It’s what is used to protect the Statue of Liberty, Independence Hall, and even the White House! We also use Termidor® for traditional liquid termiticide termite treatments. It has been rigorously tested by the USDA Forest Service and has successfully protected more than 4 million American homes since its introduction in the year 2000. If you want Marietta, GA Termite Control that works, we’ve got it. We are North Fulton Pest Solutions, and we are your Marietta, GA Termite Control specialists. If you suspect you have termites, want to begin protecting your home, or are interested in changing your termite protection, give us a call. One of our qualified, knowledgeable inspectors will visit your property, inspect it, and discuss with you your termite control options. Your home is your first investment; let quality termite protection be your second investment. Living in Georgia certainly has its perks. There’s the balmy weather and famous southern hospitality, but, as many Georgia homeowners know, it comes with a price. Georgia homes are at a greater risk of getting subterranean termites due to the almost constant moist, humid environment. Termites can do thousands of dollars of damage to a home before they are even discovered. That is why smart homeowners take a proactive approach and invest in termite control services. Termite control provides a layer of protection against an infestation with termite baiting stations or traditional liquid treatments. If you’ve already found termites on your property, we can handle that too with the most current termite control products in the industry. The wildlife in Marietta might include opossums, skunks, squirrels, raccoons, rodents, and bats, and they are just fine when they are in their place like parks and forests. However, when they wander into your home and decide to make it theirs, it can become a real problem. Often they are looking for shelter or a place to nest and raise their young, but for the homeowner it can be a nightmare. When an animal decides to set up house in your attic, garage, basement, or crawlspace, you need to take action before things get out of hand. You need a professional GA wildlife removal service. There’s no denying that many little woodland creatures like raccoons, squirrels, and even skunks are cute and seem so cuddly. However, that cuteness wears pretty thin when you have squirrels chewing through your home’s wiring or raccoons tearing up your storage crates and using your possessions as nesting material. When an animal chews through your wall it isn’t so cute anymore – it’s expensive. What’s more, a child or pet who encounters one of these animals could get injured. Wild animals can also carry pests into your home like mites, ticks, and fleas – some of which carry diseases. This problem is often more than a homeowner can handle on his or her own. Georgia laws on nuisance wildlife are specific and strict; so, someone who tries to do DIY wildlife extraction could find themselves in legal trouble, not to mention they could get hurt. The safest, surest way to get rid of animals in your home is to hire a professional wildlife removal technician. They will remove the animal or animals with the least amount of risk to the animal as well as pets and humans in the home. They can also help the homeowner prevent future nuisance wildlife problems. 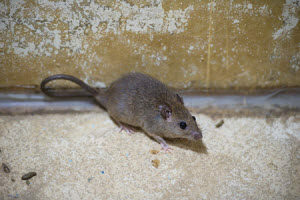 For GA wildlife removal in Marietta, you can trust the pros at North Fulton Pest Solutions. Our experienced, trained technicians are licensed in wildlife removal; so, you can rest assured that they will get the job done quickly and humanely while minimizing any risks to your family and pets. Don’t let wild animals take over your home; give us a call today. We’ll get rid of nuisance wildlife in your home and give you advice on keeping them out. You can count on North Fulton Pest Solutions for all of your pest control and nuisance wildlife needs. When it comes to nuisance wildlife, we are the experts. As certified Marietta, GA Pest Control Services specialists, we understand Georgia laws regarding wildlife removal. We will quickly and efficiently remove any problem animals from your property, home, or business. We can also help you keep animals from accessing your home with our wildlife exclusion services. When you are looking for a pest control company you can trust, look no further than North Fulton Pest Services. We are your Marietta, GA Pest Control Services specialists, and we’re here to serve you.